Today I was listening to a sports talk show called Max and Marcellus, and I heard a conversation that captured my attention. The co-hosts were talking about Jerry Buss (the former Lakers owner) and his son Jim Buss, who is currently guiding the Laker franchise. Jerry Buss was one of the most successful owners in sports history. Max and Marcellus were discussing the fact that, even though Jim Buss has been involved with Laker management during a number of championship teams, he will only receive credit for what he accomplishes after his father's death (which took place this past February). You can listen to the conversation here, with the pertinent conversation taking place from about 25:30 to 26:45. 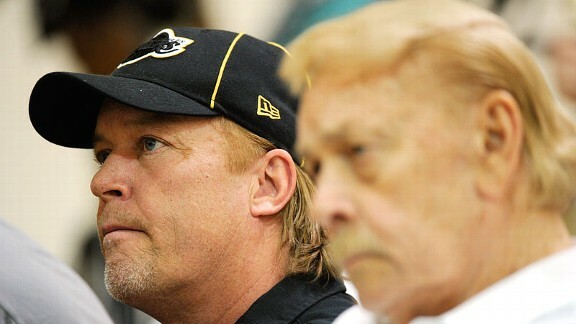 Max said this about Jim Buss: "The tragedy for him is that he will only be judged on what he does without his father. So if he wants to validate his existence, he had to wait for the person he loved most in the world to die." He then lamented the difficult situation this creates for Jim Buss. He wants to grieve his father's death, but he also wants to validate his existence. This is a deep conflict because, as Max went on to say, "There has to be a wish somewhere in you--I want to show everybody what I'm worth." I thought the comments were poignant. They apply not just to sports, but to all of life. We all want validation. We all want to matter. We all want to prove what we are worth. We all long to have our existence justified. But what if your existence can only be justified through the death of someone else? I couldn't help but revel in the irony. The conclusion was that it is up to each of us to justify our existence. And in some cases, the justification requires the death of another. The gospel of Jesus is all about justification. But the message is not about someone dying so that we could justify ourselves. The message is about someone dying so that, through him, we can be justified. He justifies us, and that justification comes only through his death. Justification is much deeper than simply forgiveness. Justification gives us access to God. It allows us to approach God's throne with boldness instead of cowering in fear. Romans 5:1-2 says, Therefore, since we have been justified through faith, we have peace with God through our Lord Jesus Christ, through whom we have gained access by faith into this grace in which we now stand. True justification is not simply being able to stand before other people and feel good about ourselves. True justification is when God is okay with us, and when we can stand before him without shame. But Max is absolutely right about the fact that we all, deep down inside, long to be validated. We long to be shown to be worth something. We long to be valuable. We long to matter. The gospel of Jesus tells us that we matter, but not because we have accomplished something great. We have not proven ourselves to be especially smart or talented or diligent or virtuous. Quite the opposite. The gospel of Jesus tells us that we matter because God has made us matter. We can only enjoy justification if we plunge into the humble pie of grace. We shouldn't matter--but we do! Whether we find ourselves in the shadow of someone great, or whether we are simply trying to make our way in the world, we all long for justification. I pray that we can all experience this justification that is only given, and never earned.